Thinking about how and where to buy the right running shoes should no longer be a concern thanks to these options. It's never been easier to find running shoes. From online to retail, there's a ton of options. Good fitting shoes are a must if you are a runner. A workout routine will do you no good if your feet are not taken care of. The first thing to do is think about what type of running you plan to do. Are you planning on running in the city or over terrain? Will it be jogging or running? How many miles per week do you plan on running? Also what style of running do you do? Think about what part of your foot hits the ground first to determine style. 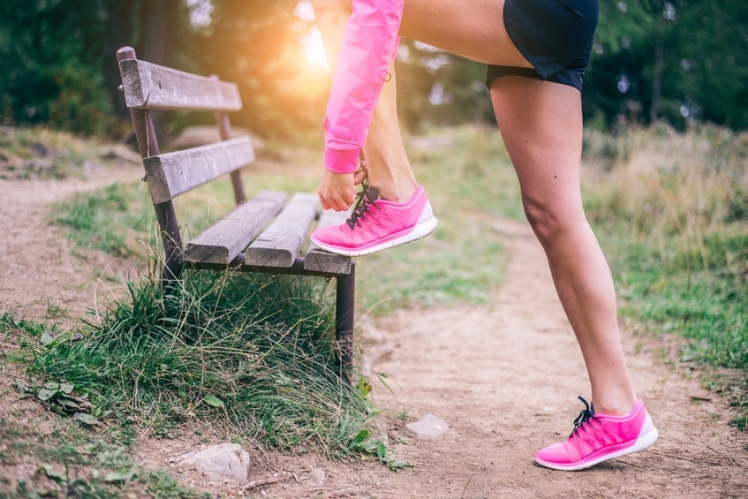 Different running patterns mean different things for your feet, so make sure you know what the potential pressure points will be before you start shopping. When looking to buy the right running shoes, many cost-conscious consumers turn to big box stores. These large venues carry everything else needed for our everyday lives, so it only makes sense that running gear would also be there. Many stores in this category may not be carry the most well known brands, but they do feature the newest running shoes from reliable companies. That also means new running sneakers that will not stretch your budget to its limits. If something happens to these shoes, it doesn't matter thanks to their low price. In many cases, it's not an issue since the shoes are actually very reliable. Standard retail outlets and specialty shoe sellers have been one of the most visited solutions when looking for new running shoes. Some have contracts with major companies to carry the newest running shoes from the world's top selling brands. Prices can be higher, but they match the quality. 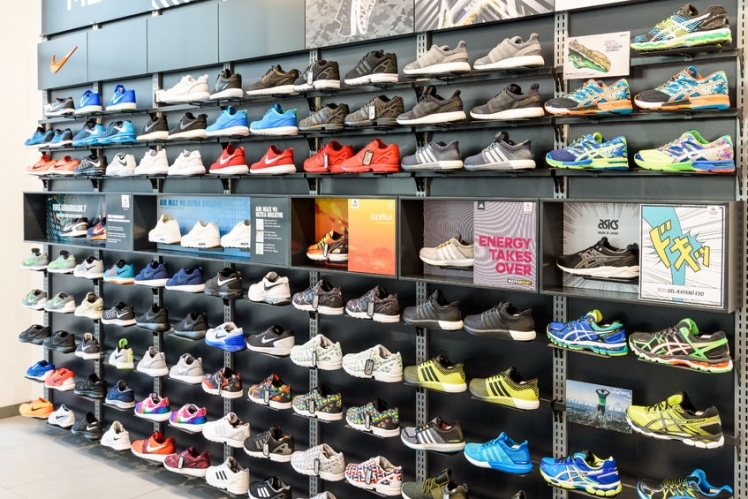 In terms of specialty stores, special editions or lines that are unavailable at any other retail location help them stand out among new running sneakers. The newest shopping entry has also become one of the most popular among runners. New running shoes are easy to find with just a push of a button. In many cases, new running sneakers appear in one of the largest inventory's available to consumers. A large inventory, great shipping options and excellent customer service are listed as top selling points for these stores. Width is very important to consider when you buy the right running shoes. If the shoe is not wide enough it will be to tight thus causing foot pain. The foot should be able to move a little in the shoe. Around the heel, the shoe should not be tight but envelop it. At any point, the heel has to be able to come out without slipping out too easily. 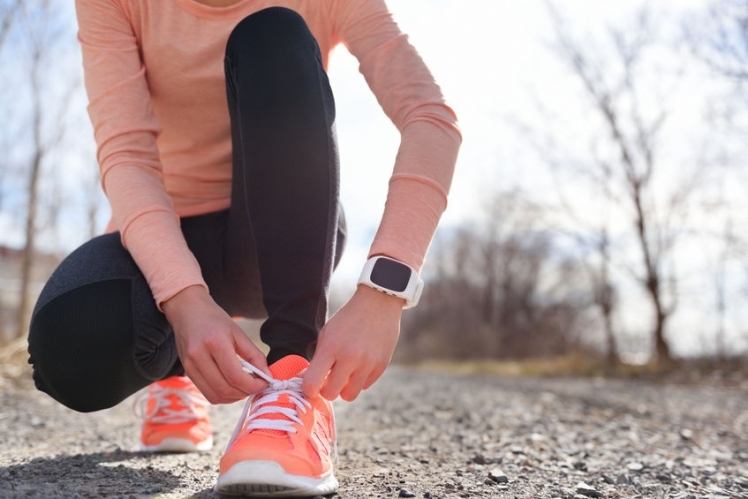 Making sure to lace up the shoes properly will prevent unnecessary movement. If there is tightness around the instep, do not get the shoe. The foot should not feel pressure in any way. Consider lacing in another way to elevate the problem if you like a particular shoe before deciding it may not be for you. When trying on a new pair of shoes, remember feet swell. This is especially true during the day or during a run. Have enough space to allow your toes freedom of movement. Look to for space between the toes and the end of the shoe. It’s best to shop for shoes at the end of the day not the morning. To buy the right running shoes they need to be flexible. Finding out the flexibility can be done by holding the shoe tip and proceeding to bend the shoe into the floor. If it doesn’t bend to match the angles of your foot, go to another shoe. There is no need to risk injury when there is improper flexibility. Don’t be quick to buy a running shoe because of its looks. You need a good shoe that will help your running, not a fashion statement. It can look good and have ample support to help make your run enjoyable rather than causing problems such as blisters. 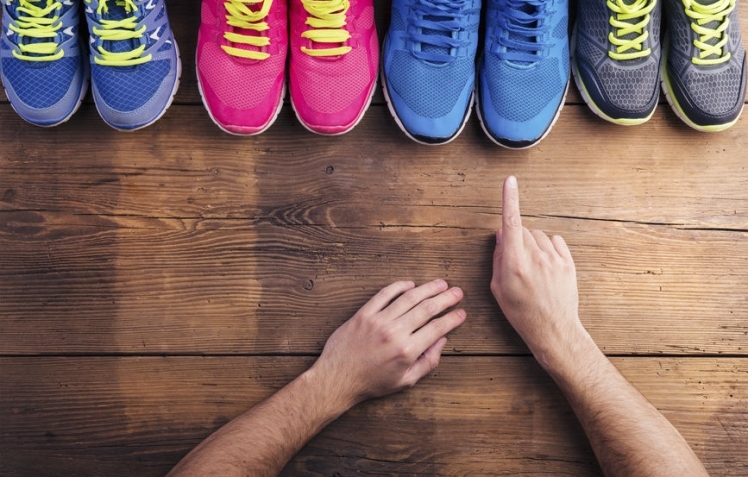 While you know your shoe size, it might not be the same for running shoes. Size dimensions vary by each company’s individual specifications. It is best to always get a fitting and be measured for the correct size. Keep in mind that the shoes last only a short time. One common rule is to keep running shoes only for six months or 500 miles, whichever comes first. A shoe may look okay but be worn out. When a shoe is worn out, you could end up with injuries. The best places to buy running shoes are stores that cater to those kinds of shoes, if you need help choosing the right one for you. They have all the information a runner will need to get the perfect shoe. Also, there are stores that sell athletic shoes. There is a wide selection that will work for any type of running you are planning to do.